Volesoft interviews Jeremy Paxman’s dog. Come on, come on! 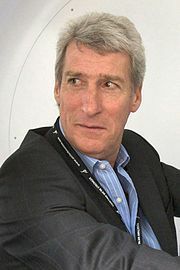 Newsnight celebrity Jeremy Paxman is a national celebrity. An English national celebrity, of course – he has written a number of books celebrating England. He was born in Leeds in 1950. I was born in Aberdeen in 1949 but spent my time between 1961 and 1973 in Leeds, going to possibly the worst Jesuit school in the known universe, the now demolished St Michael’s College. Paxman’s Wackypedia entry doesn’t say which school he attended. Nor does it say whether Paxman has a dog. We mention the dog because we watch Paxman interrogate students on University Challenge. Sometimes, we watch him interrogating politicians on Newsnight, too. If he has a dog, and he has had a bad day at the orifice, we imagine this conversation when he gets home. Paxman (in mock surprise): “You are a talking dog! So I have some questions to ask you Fudo, Wien College Austria and for you Fido Doggywoggy College Braemar!